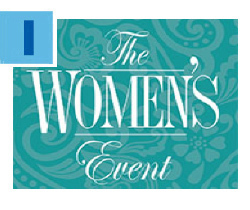 Join Miami's inspiring, empowering community of women at the 2016 Women's Event, Tuesday, January 12, 2016. This exceptional luncheon program will feature the beauty and the bravery of Linor Abargil, Israel's first and only Miss World, and will highlight Federation's role in meeting the unique needs of women and girls. Michele Baena and Terri Krasnoff chair this year’s event, and Rosi Behar is chairing the Lion of Judah breakfast earlier that morning. Click here to learn more and to RSVP now. Thank you again, Miami! In this season of giving, our community continues to care for those in need. Just days after the amazing Give Miami Day, generous donors stepped up on #GivingTuesday, supporting vital programs in Miami, in Israel and in more than 70 other countries worldwide through the Greater Miami Jewish Federation. If you have not yet had a chance to contribute or wish to make another tax-deductible donation before December 31, please consider doing so now. Click here to make a new gift or here to pay an existing pledge. Chanukah begins at sundown Sunday, December 6. After the candle-lighting, share some holiday games, songs and fun with the little ones. 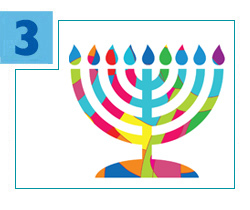 PJ Library in Miami, the popular Federation program that delivers free Jewish books and music monthly to Miami kids through age 11, has prepared a great booklet with ideas for celebrating the Festival of Lights. Click here to download now. PJ Library is a national program founded and funded by the Harold Grinspoon Foundation, and generously funded locally by The Blank Family Foundation. The ongoing crisis in Ukraine and growing anti-Semitism across Europe may be two reasons why Israel saw a huge wave of olim (immigrants) from the former Soviet Union (FSU) during the first nine months of this year. The Jewish Agency for Israel, Federation's partner in welcoming and resettling olim, reports that more than 11,000 people from the FSU arrived in Israel from January to the end of September 2015 – comprising 47 percent of all aliyah to Israel during this time and a 42 percent increase over the same period in 2014. Half of those new immigrants are under age 35. 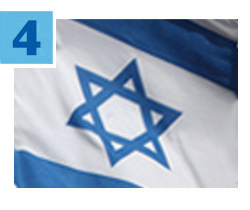 Miami's Jewish community is here to help 24 hours a day. If you or someone you know is in need of emergency financial assistance, food, bereavement support, counseling, domestic abuse assistance or other challenges, call 305.576.6550. 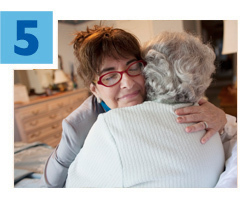 Operated by Federation's partner agency, Jewish Community Services of South Florida, this confidential helpline can guide you to the resources and information you need.